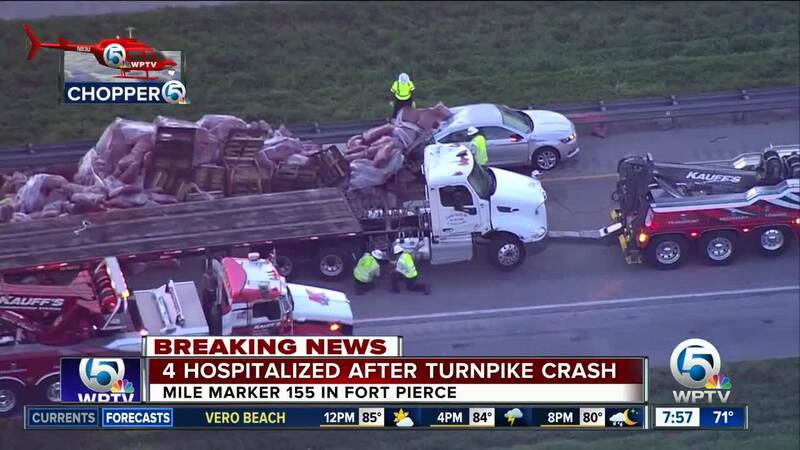 Four vehicles, including a tractor-trailer hauling mulch, crashed Thursday morning on Florida's Turnpike. The wreck was reported at about 5:11 a.m. south of Orange Avenue, closing all southbound lanes. All lanes re-opened at about 8:35 a.m. The St. Lucie Fire District said the semi rolled over on top of another car. A man and a woman were transported to the hospital in serious condition. Two other men suffered injuries that were not considered life threatening. 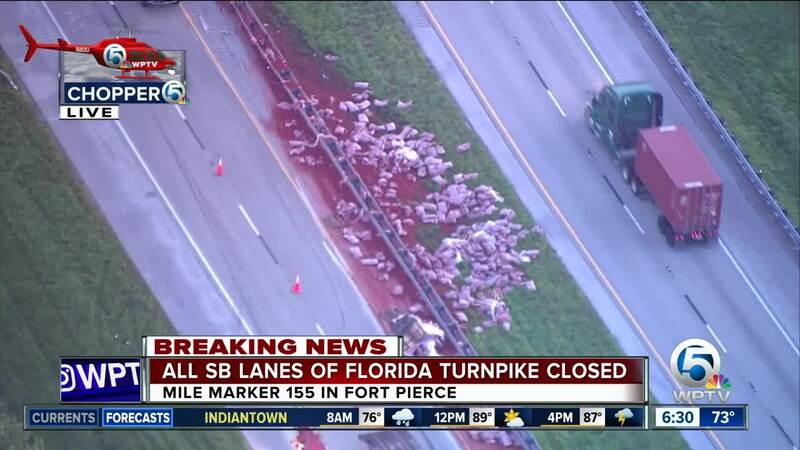 The Florida Highway Patrol is investigating the cause of the wreck.